Bring on the fireworks, cookouts, hot dogs, and American flags! 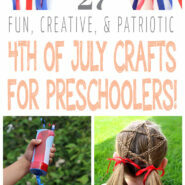 We are getting ready for the this fun summer holiday with these fun and creative 4th of July crafts for preschoolers! The 4th of July is just around the corner! If you’re looking for some fun ideas to keep your toddler occupied on the 4th of July, here are 27 creative 4th of July crafts that are perfect for preschoolers! 1. 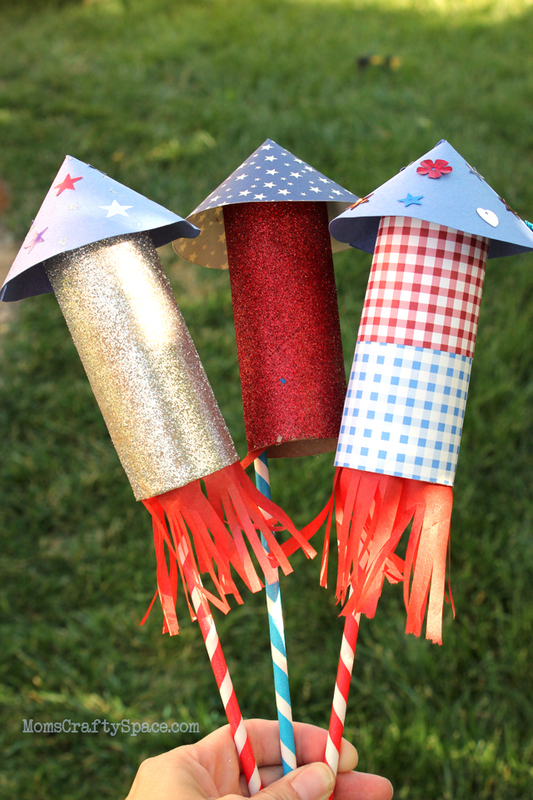 Make these simple 4th of July rockets in minutes! These patriotic rockets are such a fun craft! Your preschooler will love decorating the rocket, and once it’s dry they make great lawn ornaments! See the full instructions on Happiness Is Homemade. 2. Burn-free sparklers for your kids to enjoy! Sparklers can get HOT! Make these cute burn-free sparklers and let your toddler go wild this 4th of July without worrying about burns! See the full instructions on MomDot. 3. The perfect way to stay cool this 4th of July! 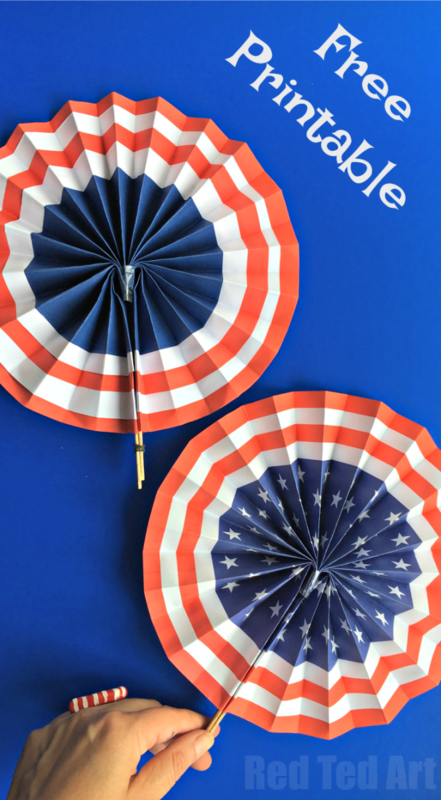 Making these cute fans is a fun project for your preschooler, and they’ll appreciate being able to stay cool this 4th of July! See the full instructions on Red Ted Art. 4. Turn a paper tube into a fun confetti launcher! All you need to make your own confetti launcher is a paper tube and a balloon! Decorate the tube, add some confetti, and have fun! See the full instructions on Pi’ikea St..
5. 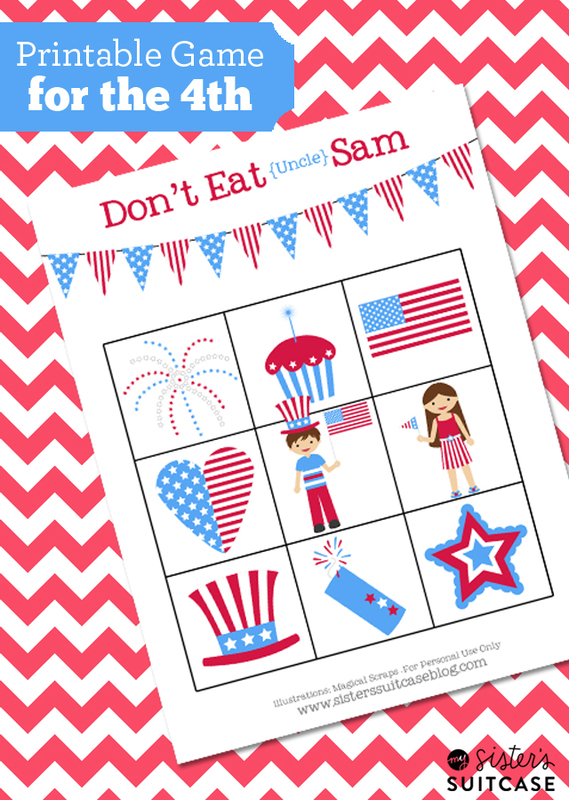 Make a fun paper plate Uncle Sam this 4th of July! Paper plates are so useful for crafting! 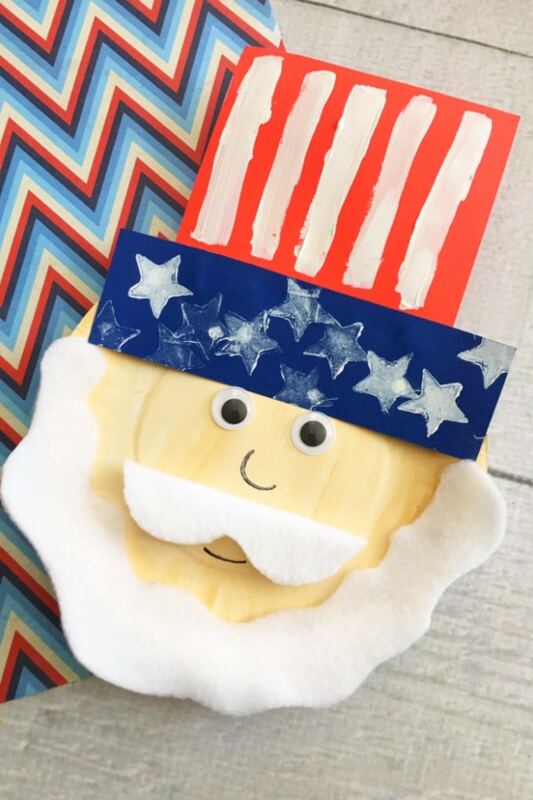 Turn a paper plate into Uncle Sam, complete with a fun paper hat and a felt beard! See the full instructions on Glue Sticks & Gumdrops. 6. 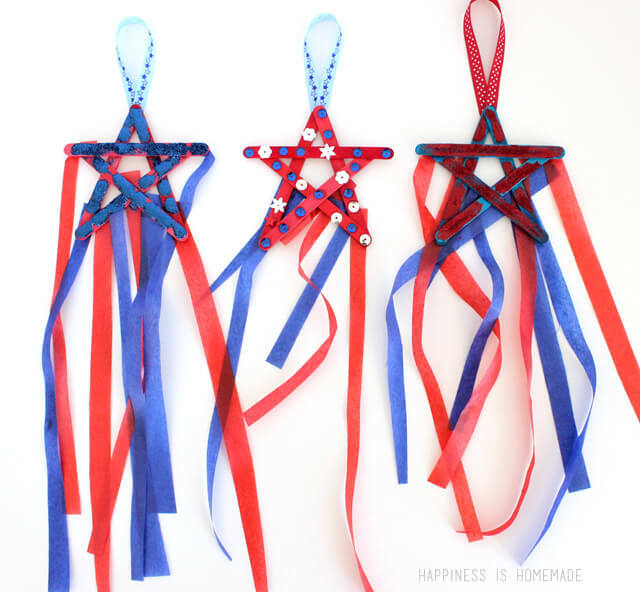 Turn popsicle sticks into cute 4th of July star streamers! If you glue popsicle sticks into the shape of a star, your preschooler will love to help add decorations and ribbons to make these cute star streamers! 7. 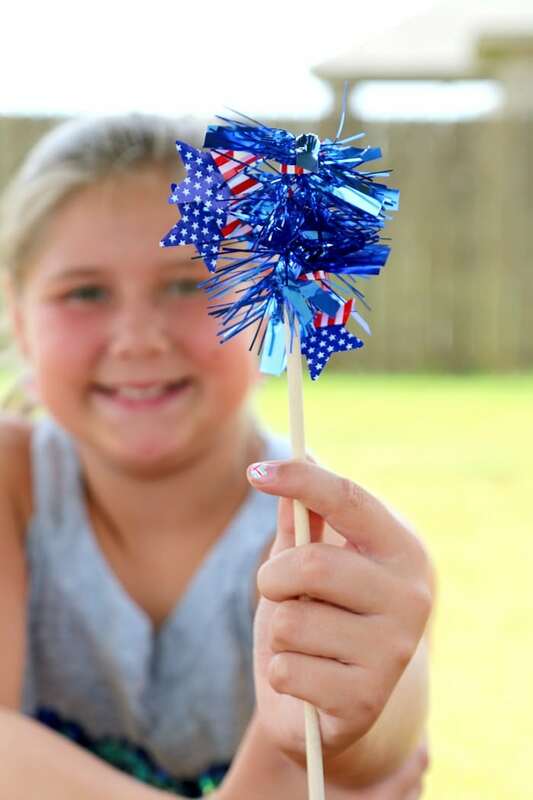 Use up those popsicle sticks to make this cute patriotic craft! 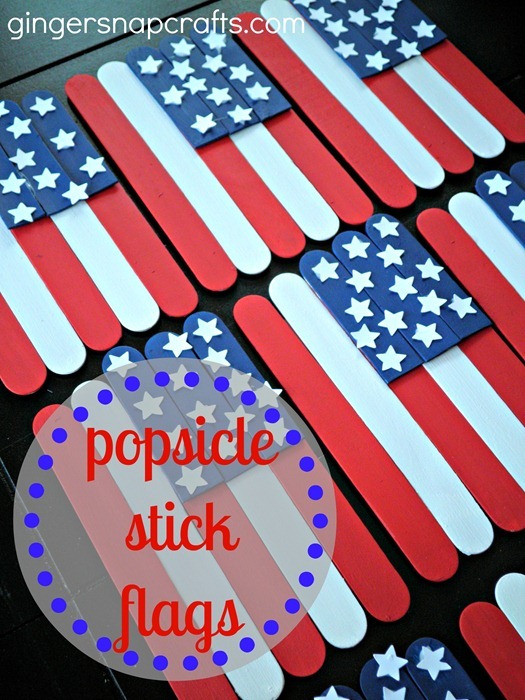 If you’re going through a lot of popsicles this summer, reuse the sticks to make these cute American flags! The kids will love making the flags and eating the popsicles to get the supplies! See the full instructions on Gingersnap Crafts. 8. 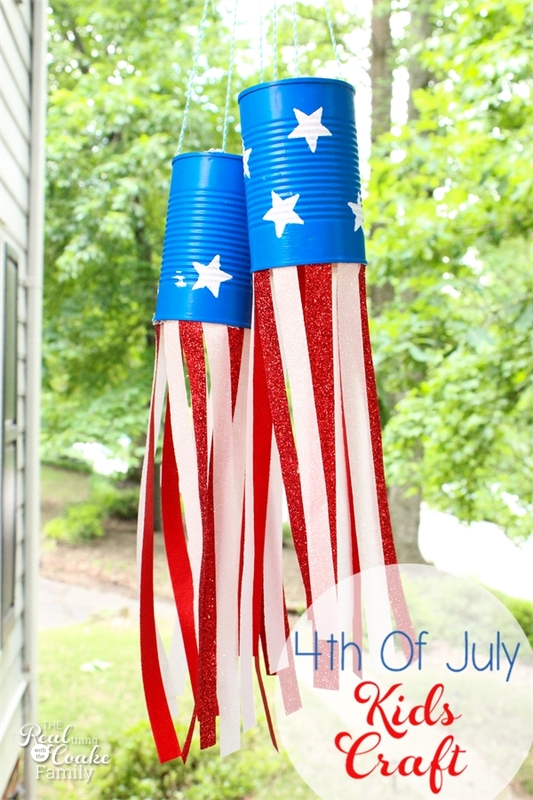 Turn empty tin cans into patriotic wind socks! The kids will love helping to paint and decorate some empty tin cans…add a few glittery ribbons and strings and you have a fun, patriotic wind sock! See the full instructions on The Real Thing With The Coake Family. 9. Let the kids decorate their own shirt for the 4th of July! 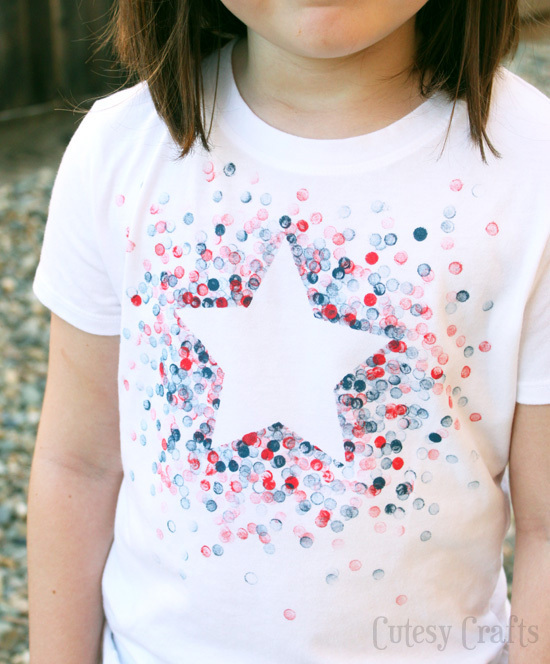 This adorable eraser stamped shirt is the perfect patriotic craft for preschoolers! They will love “stamping” all over the shirt with an eraser, and you end up with a cute shirt for the 4th of July! See the full instructions on Cutesy Crafts. 10. These faux paper sparklers are perfect for the little ones! The noises and excitement of the 4th of July can be fun for little kids, but also a little overwhelming. 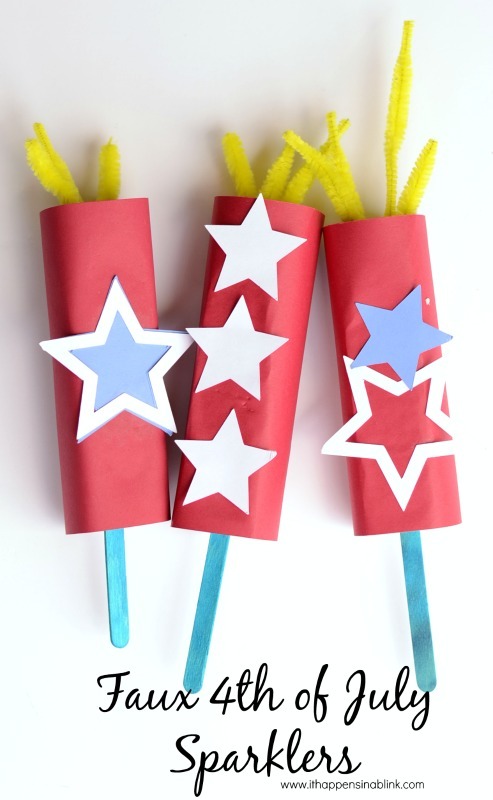 Let the kids participate with these noise-free fireworks they can help make themselves! See the full instructions on It Happens In A Blink. 11. 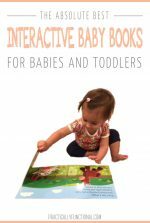 Keep the kiddos entertained at your 4th of July BBQ! This fun take on the Don’t Eat Pete game is easy enough for even the littlest kids to play! Learn how to play at My Sister’s Suitcase! 12. Impress everyone with this fancy hairdo! This cute star hairdo is actually easier to do than it looks! 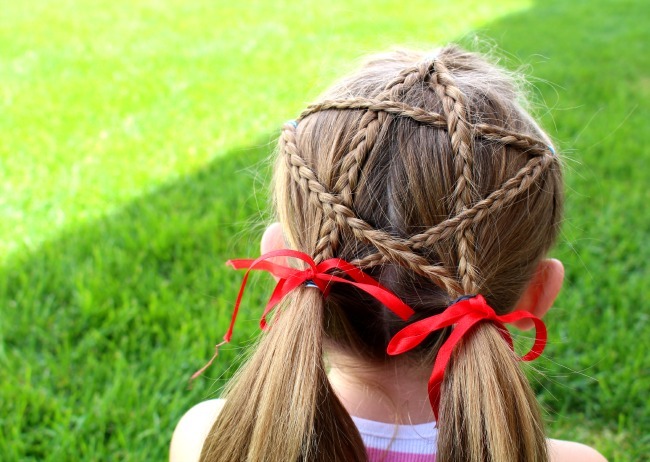 Your preschooler will be the hit of her classroom with this fun hair style! See the full instructions on A Girl And A Glue Gun. 13. 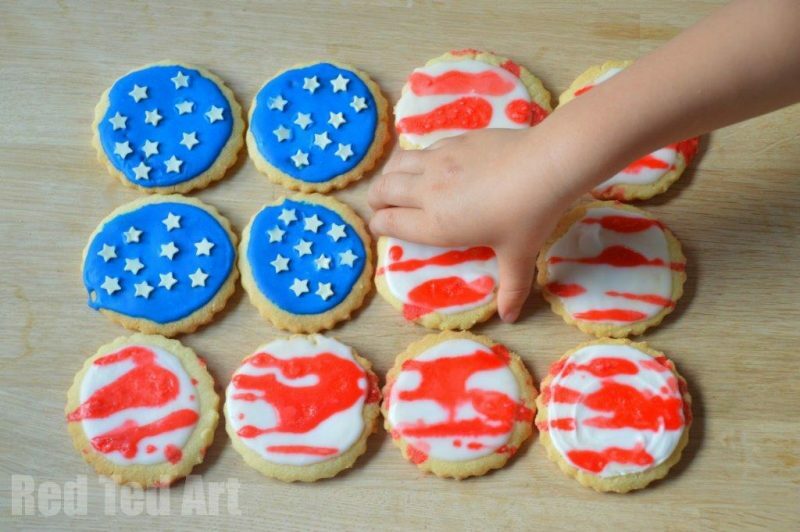 Make these delicious treats for the little ones this 4th of July! 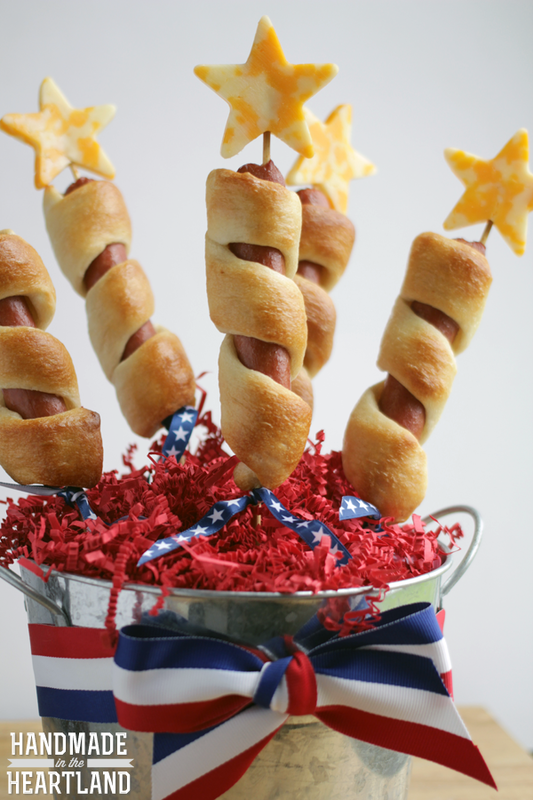 If your preschooler is looking for a fun 4th of July snack, these cute firecracker dogs fit the bill perfectly! They’re cute, patriotic, easy to make, and totally delicious! See the full instructions on Handmade In The Heartland. 14. Decorate your own glittery painted stars! 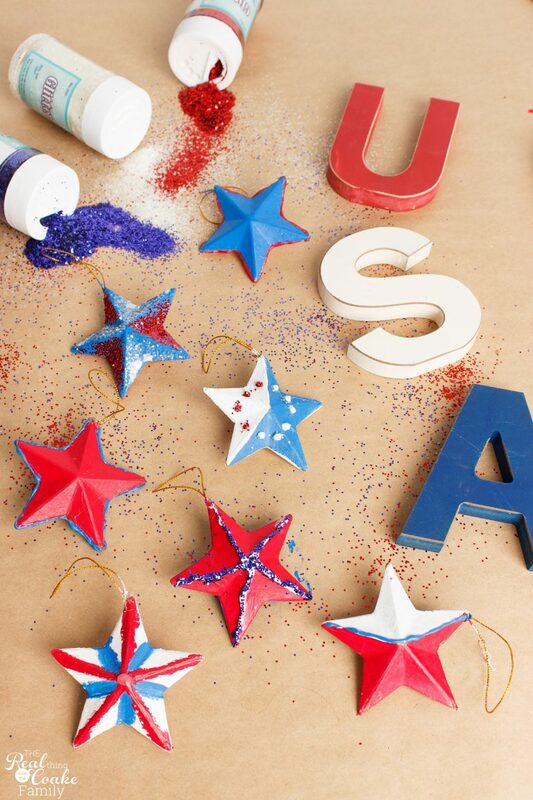 Every kid loves glitter, so let them decorate their own stars in red, white, and blue glitter for the 4th of July! 15. 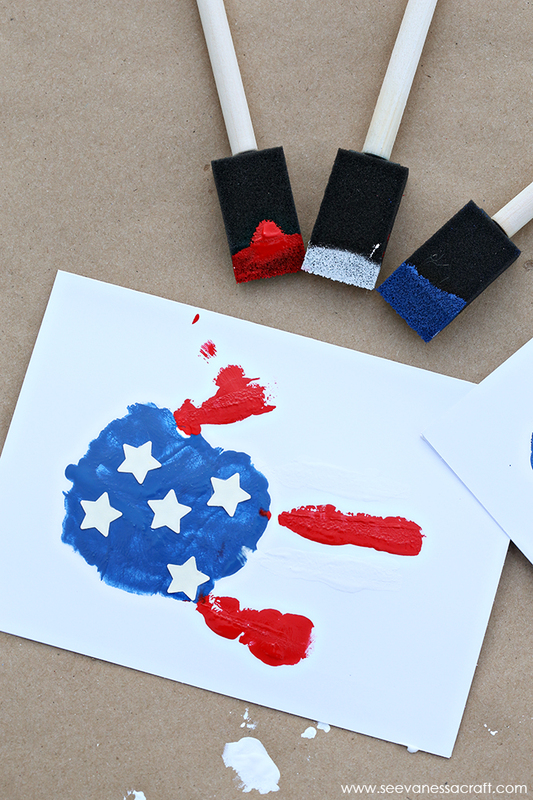 Fun, patriotic, and a little bit messy…the perfect 4th of July preschooler craft! 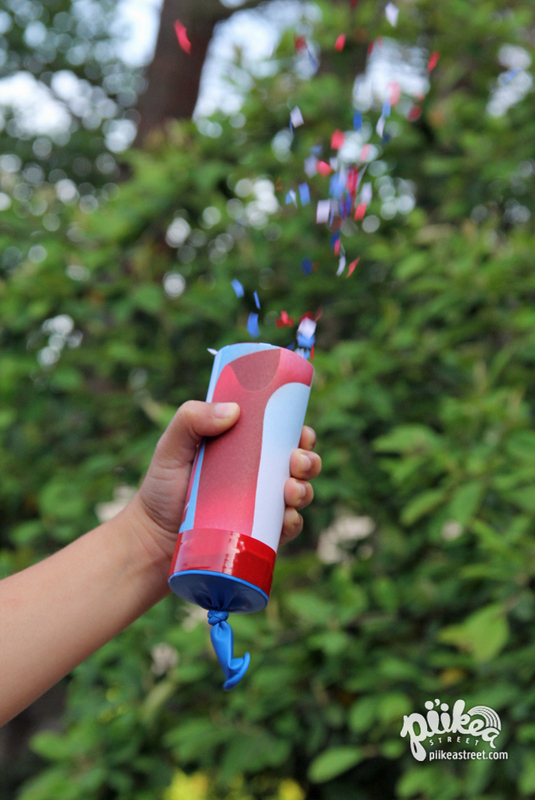 Let the kids get a little messy for this fun 4th of July craft! With a little paint they can turn their handprints into American flags! 16. Recycle empty cardboard tubes for this fun patriotic craft! 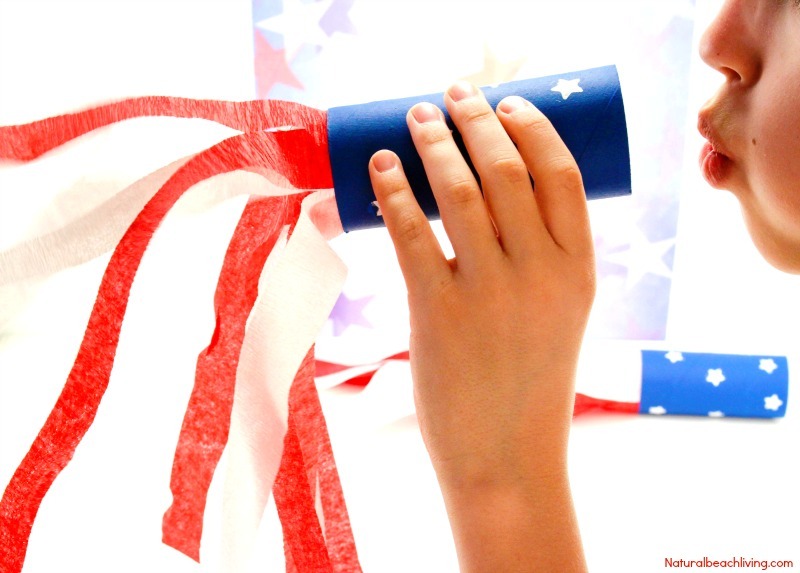 All you need for this cute 4th of July craft is a cardboard tube, streamers, tape or glue, and something to decorate the tube with! See the full instructions on Natural Beach Living. 17. 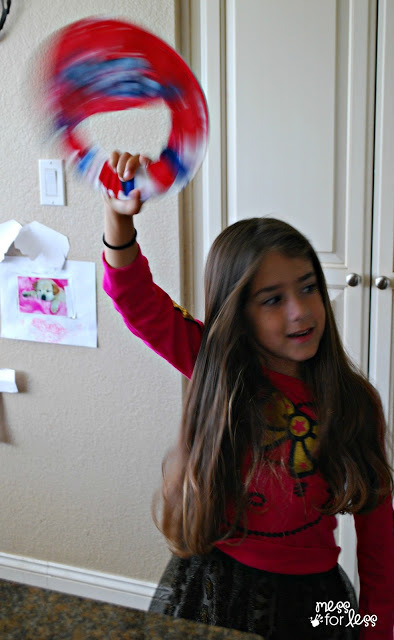 Your preschooler can make as much noise as they want with this simple noisemaker! 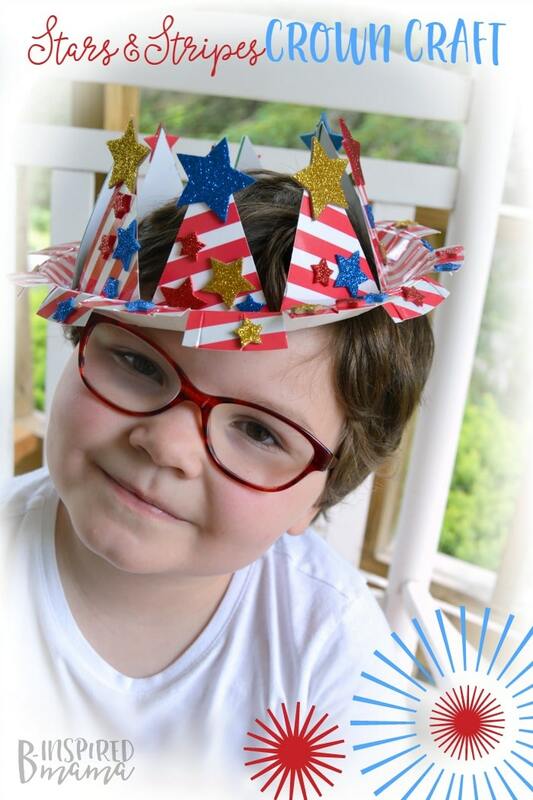 If the booms from the fireworks are too loud for your preschooler, but they still want to participate in the fun and noise of the 4th of July, let them make their own noisemakers with paper plates and dried beans! See the full instructions on Mess For Less. 18. The simplest crafts are sometimes the best! 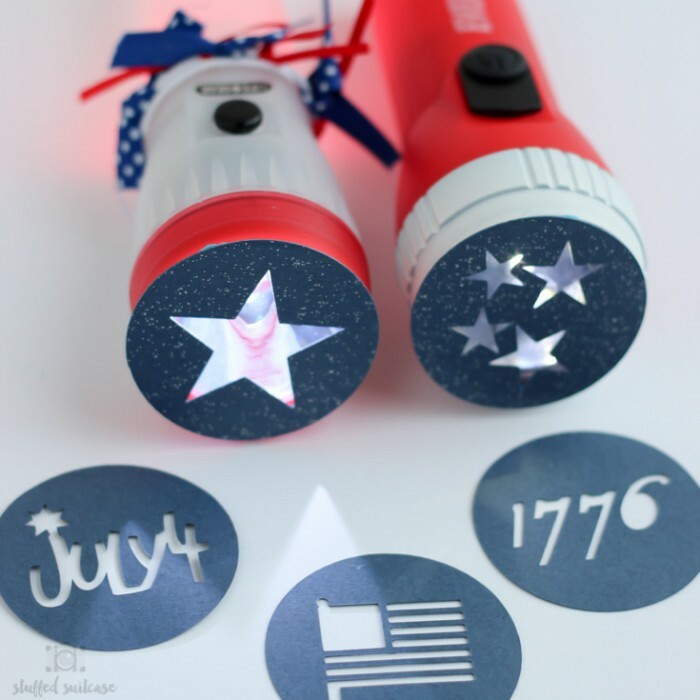 All you need for these fun 4th of July flashlights is a flashlight and a stencil! You can make your own stencils with paper and scissors, or you can get some from a dollar store! See the full instructions on Stuffed Suitcase. 19. Let your preschooler lead the parade with this cute homemade parade stick! Decorate a cardboard tube with duct tape and ribbon to make your own parade stick! 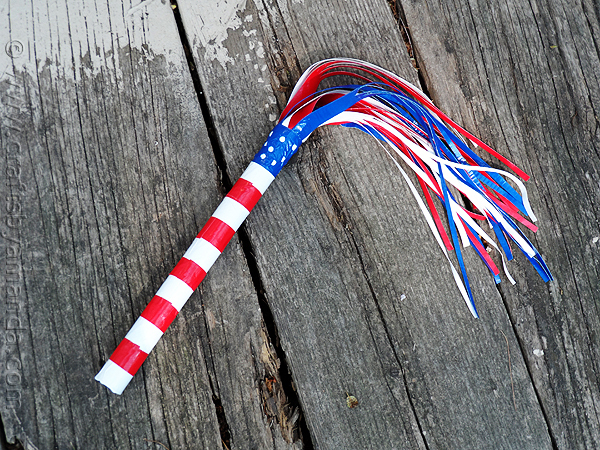 The little ones will love marching around and waving it in the wind on the 4th of July! See the full instructions on Crafts By Amanda. 20. Repurpose an empty cardboard tube for this fun painting project! Your preschooler will love making awesome fireworks with paint using a cut up toilet paper roll. All you need is paint, scissors, and an empty cardboard tube! 21. 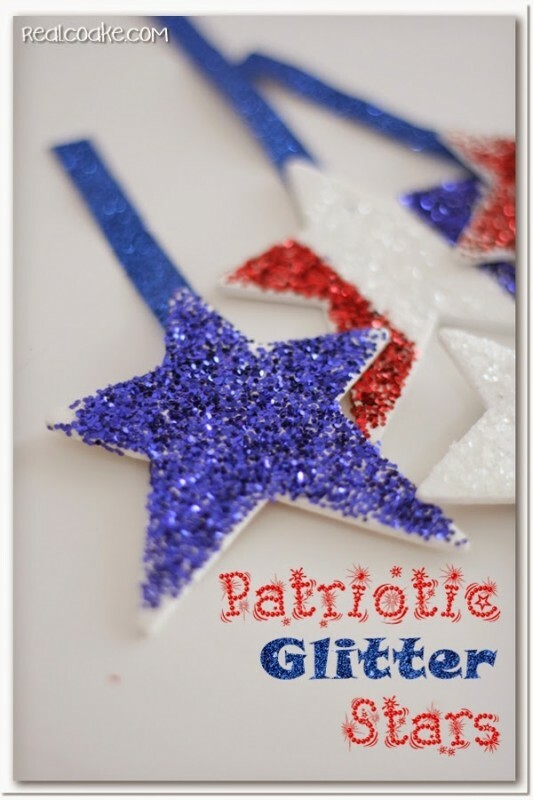 These glittery stars are fun and patriotic! Turn these glittery stars into hanging ornaments, or stick them on a popsicle stick to make a magic wand! The possibilities are endless! 22. So much fun to make AND wear! 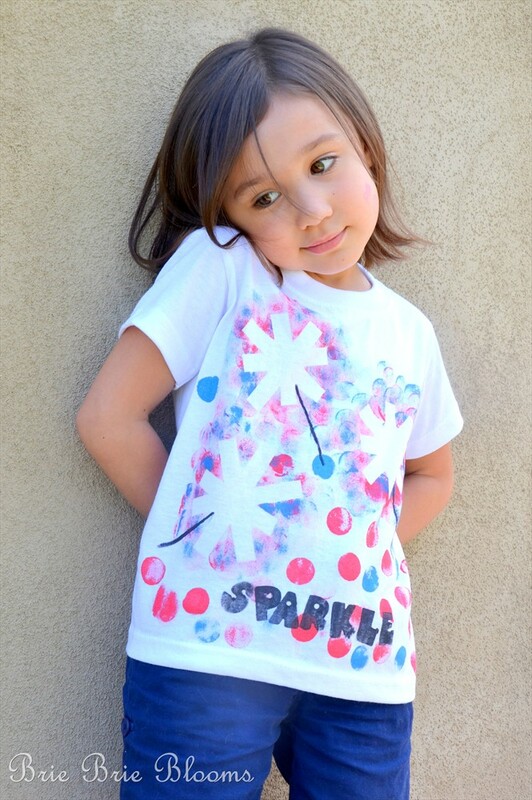 Help your kids make their very own sparkler tee to wear on the 4th of July! All you need is tape, paint or markers, and a t-shirt! See the full instructions on Mom Endeavors. 23. These treats are yummy AND patriotic! Not only do these cookies look great, but they taste delicious too! Your preschooler will love decorating these cookies and eating them! 24. 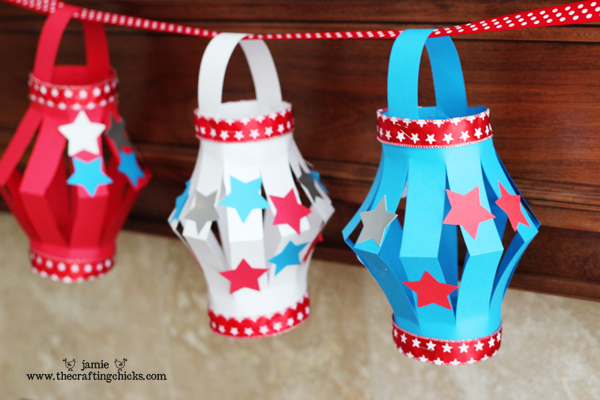 These cute paper lanterns are the perfect 4th of July preschooler craft! All you need is paper, scissors, and a bit of glue to make these cute paper lanterns! See the full instructions on The Crafting Chicks. 25. Turn a paper plate into a crown fit for a king or queen! Your preschooler will love being king or queen for a day with this homemade stars and stripes crown that they can decorate however they want! See the full instructions on B-Inspired Mama. 26. 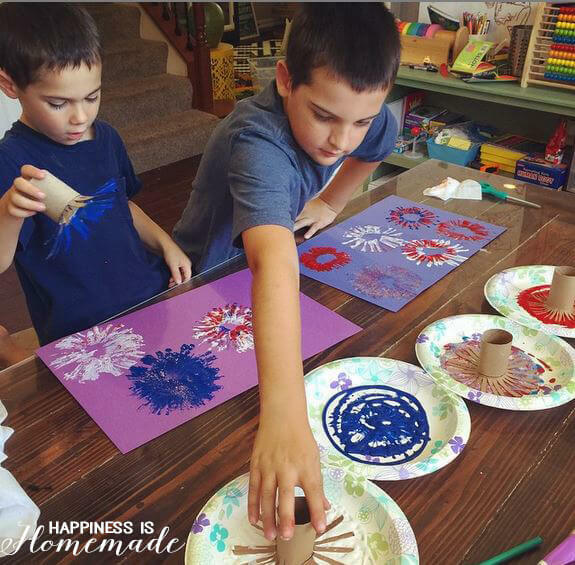 A fun 4th of July handprint craft! Handprint crafts are always a fun project for preschoolers! 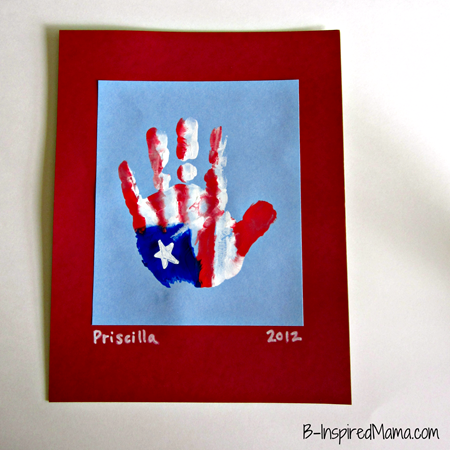 Let your kids get a little messy to make this fun patriotic handprint craft! 27. Keep little hands safe this 4th of July! If you choose to use real sparklers at home this 4th of July, protect little hands (and big ones too!) 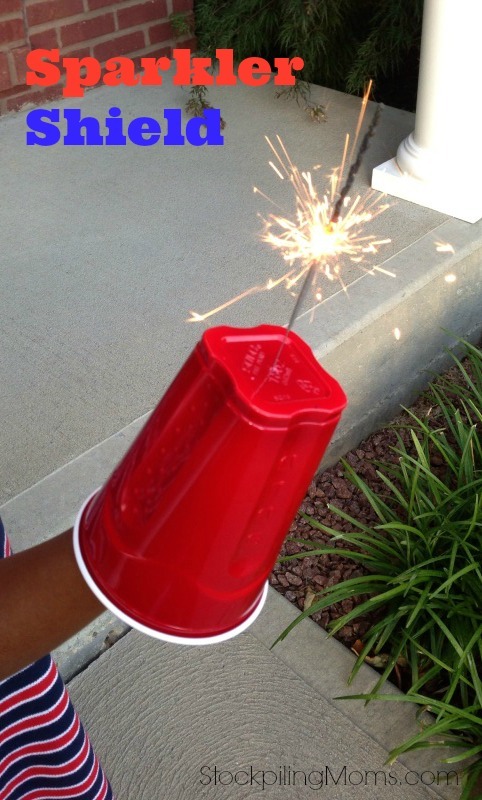 with a simple homemade sparkler shield from a plastic cup! See the full instructions on Stockpiling Moms. « Go Green In The Laundry Room With FREE Method Laundry Detergent & Grove Dryer Balls!